When it comes to steak, we all have different preferences. Some like it rare, medium rare, and like me, you might also like your meat well done. 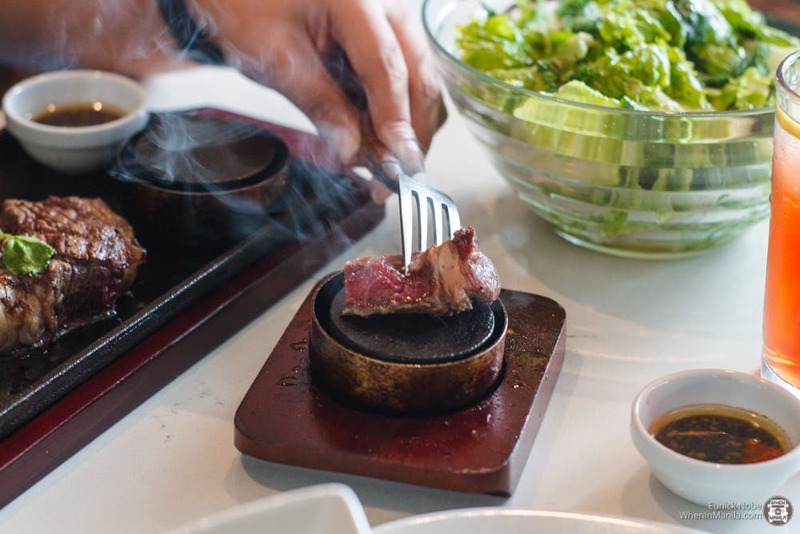 At this Japanese steak place called Steak the First, you can actually try out different steak doneness with your own stone grill (and without your friends’ judgments)! Can you hear it sizzling? Yum! Steak the First is a franchise owned by Y’stable Group based in Japan who also operates other beloved restaurants such as Salvatore Cuomo in Uptown Mall. Steak the First has four stores in Tokyo and one in Osaka. We also found out that the name of the store in Japanese is actually ‘Steak No. 1’ but when it was translated in English, it turned out to be Steak the First, which aims to offer affordable quality steak. In fact, their cheapest 200g steak is just Php490. Take note that this is in BGC where upscale restaurants are just around the corner! They offer different kinds of steak such as Akami Steak, Top Sirloin, Striploin, Rib Eye Roll, Tenderloin, and Wagyu which come in 200 grams, 300 grams, and 500 grams. These meats are sourced from the U.S. and have a special preparation method. Steak the First uses Binchotan or hardwood white charcoal from Laos to give the meat a very distinct taste. It also uses rendered beef fat instead of butter to improve the flavor. They usually serve it medium-rare and you have your own stone grill to adjust how you like it. All of these dishes come with their special garlic butter soy sauce specially flown from Japan every month to ensure it is served at its best. We recommend pouring some of their house onion sauce onto your steak, as well. Either one of the sauces will go really well with the meat! Steak the First also has a menu for drinks that go well with their delectable steak. They also have really good desserts! We tried their take on Kaki-Gori and Soy Milk Ice Cream and we all agreed we’d go back for it! They have Premium Kaki-Gori aka shaved ice with ice cream in two flavors: strawberry and matcha (Php200). Like their steaks, these bowls of Kaki-Gori are really good value for money since each one can serve 2-3 people. However, it’s so good that one person could actually finish it! They also serve lunch sets that come with rice and soup. 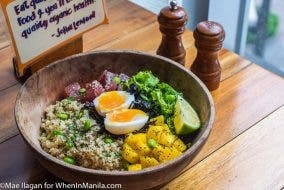 There you go, another must-visit restaurant calls to be added to your dining choices in BGC!